A normal day can quickly turn into a frantic disaster if you neglect your plumbing. Unfortunately, it seems like many homeowners need emergency plumbing services during the holidays for very inconvenient times. Here at Delk Plumbing, we want to help you avoid a plumbing emergency so you won’t have to deal with the stress when you least expect it. Today, we want to share some advice on how to best avoid a plumbing emergency. Are you inviting guests over to your home for a party or to stay for a few days? If so, be sure to prepare your home for the incoming crowd. Get any plumbing problems fixed beforehand, even if you think they’re minor. Current plumbing problems can spiral out of control when there are more people in the house using the facilities. Also be sure to give special attention to your garbage disposal. Be sure to run it frequently, especially if you’ll be cooking lots of big meals. Ask your guests to be conscious of their water consumption. Set time limits for shower usage. When it comes to your kitchen sink, be on high alert. 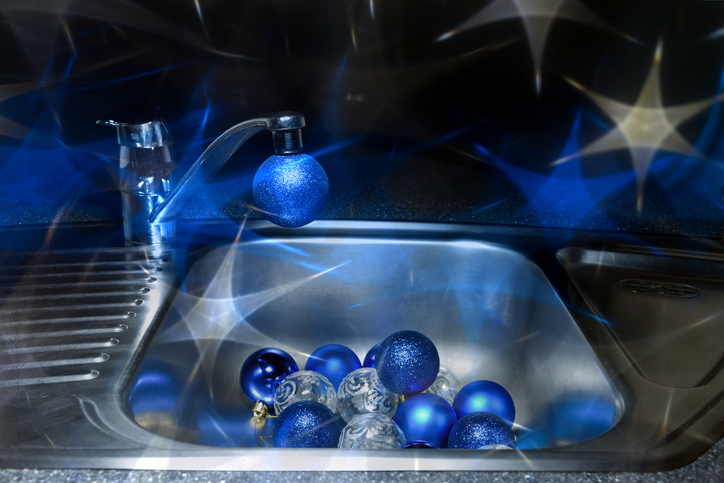 Don’t let items that may cause harm to your disposal (such as grease) go down the sink. Always deposit food waste in the garbage instead of your sink. This one step alone will save you from a lot of plumbing heartaches. Finally, be sure to keep your eyes and ears open when it comes to your plumbing system. Hear an odd sound from your toilet? Notice slow draining in the house? Don’t hesitate to call a plumber to investigate. The faster you act, the more chance you have of avoiding a plumbing emergency. Contact Delk Plumbing when you need emergency plumbing services. We’ll be there to rescue your family so you have as little inconvenience as possible!